Squibs And Crackers: Holy Batcave, Batman! 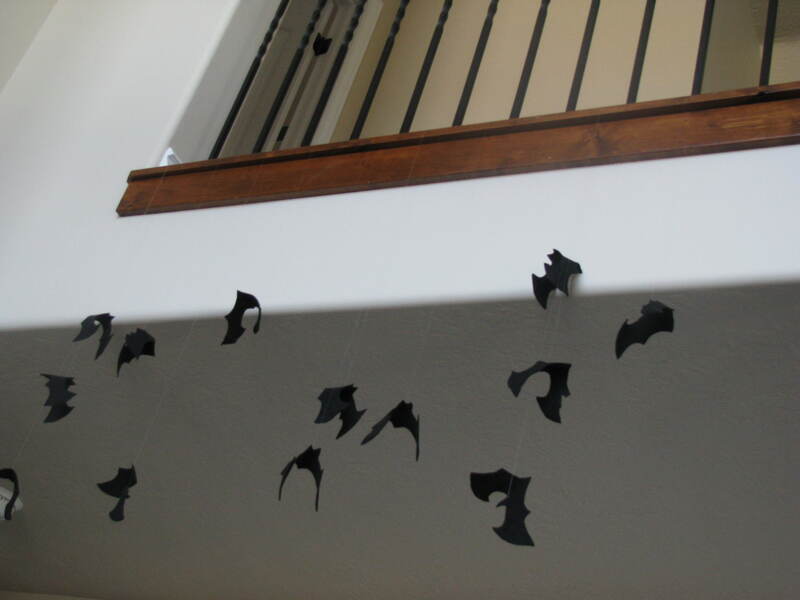 The bats have joined our family for Halloween. 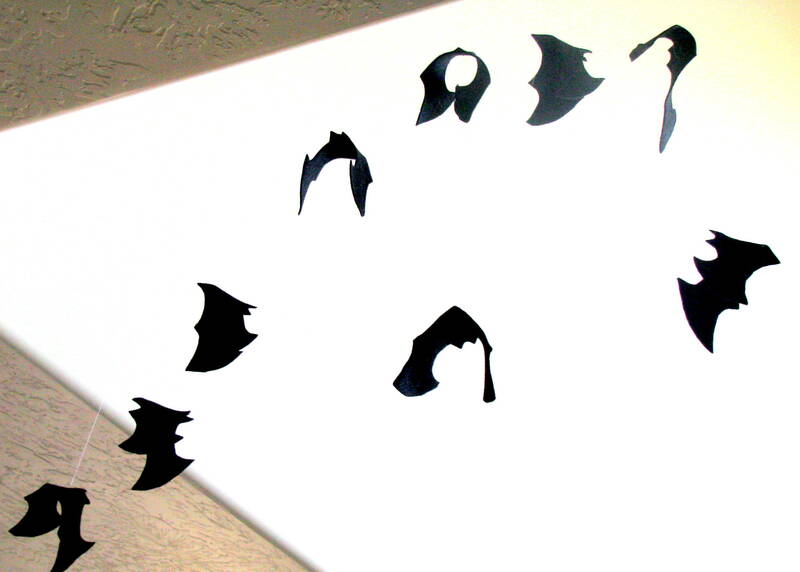 These bats were cut from black felt and fishing line was sewn into the center of the bats. 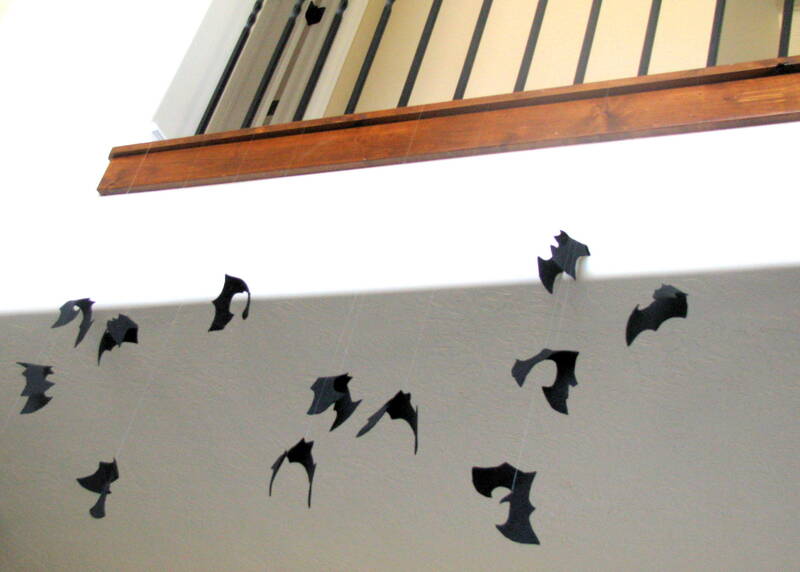 I tied each bat onto the railing from our landing. 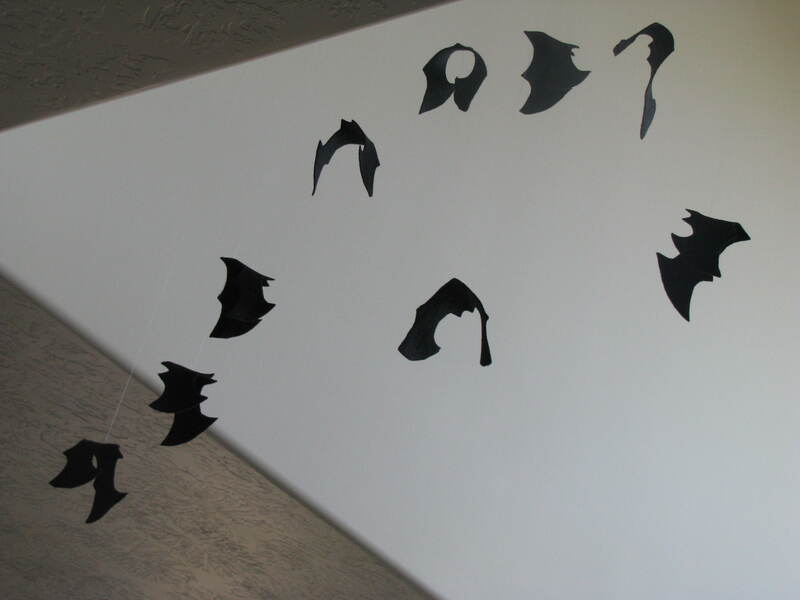 I have been wanting to make some bats for our porch.